If you know the specific car you’re looking for, use Quick Search to view it now. For 2018, Ford has updated the venerable F-150, with new grille and headlight designs. Also new is a 3.3L V6 that includes both port and direct injection. The engine replaces the previous 3.5L and makes 290 horsepower. Torque produced by the 2.7L turbocharged V6 increases by 25 lb-ft to 400, while output for the 5.0L V8 increases to 395 horsepower and 400 lb-ft of torque. The 3.3L engine is paired with a 6-speed automatic, while all others are now paired with a 10-speed automatic. A new 3.0L diesel V6 will debut later in the model year. The 2018 F-150 has to be many things to many people. From work truck to cruiser, off-road vehicle to boat hauler, there is an F-150 for virtually every task. As a result, the lineup is diverse. 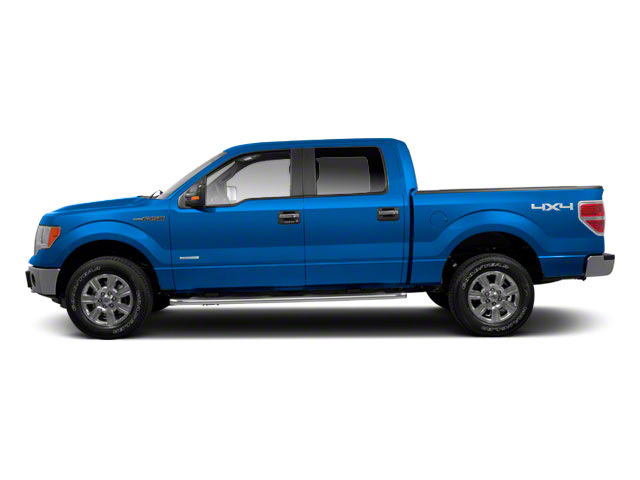 There are four engines available on the F-150, six trims and several body options. The most basic engine is a 3.3L V6, which produces 295 horsepower, allowing for a tow rating of 7,600 pounds, which bests other competitors when equipped with their basic V6 engines. The next step up is a 2.7L turbocharged V6 that makes 325 horsepower and 400 lb-ft of torque. A bigger 3.5L turbocharged V6 makes 375 horsepower and 470 lb-ft of torque, helping the F-150 rate a class-leading towing spec of 12,200 pounds. The top-of-the-line 5.0L V8 makes 395 horsepower and 400 lb-ft of torque. Trims include XL, XLT, Lariat, King Ranch, Platinum and Limited. The basic XL trim is available with three different cab sizes and three different bed lengths in either 2WD or 4WD configurations. Owing to its work-truck pretensions, the XL is relatively light on bells and whistles, with just basic utilities like an AM/FM radio and a 4.2-inch screen in the center stack. The XLT, while still relatively basic, adds chrome bumpers, Ford's SYNC 3 system, fog lamps, an alarm, air conditioning, automatic headlamps, cruise control, keyless entry, power windows, a powered tailgate and power door locks. Lariat-trimmed F-150s start to venture into more luxurious territory and are only available with extended or crew cab cabins. 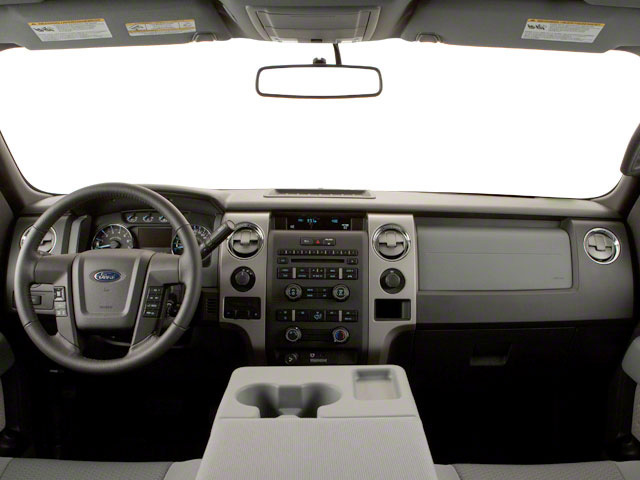 Standard equipment on the Lariat includes power folding door mirrors, a rearview camera, 18-inch wheels, ambient interior lighting, steering wheel-mounted audio and cruise controls, a power sliding rear window, an auto-dimming rearview mirror, leather-trimmed seats, a 10-way power adjustable driver's seat, SiriusXM satellite radio and an 8-inch touchscreen. 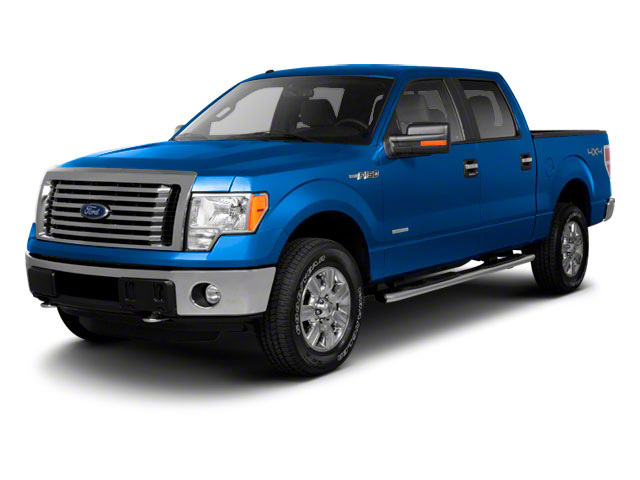 King Ranch versions come standard with the 5.0L V8 engine, a crew cab cabin and 2-tone exterior paint. Other features on the King Ranch include LED box lighting, LED headlamps, lots of exterior chrome, heated side mirrors with integrated turn signals and an auto-dimming feature on the driver's side, a remote starter, heated front and rear seats, wood interior trim and dual zone climate control. 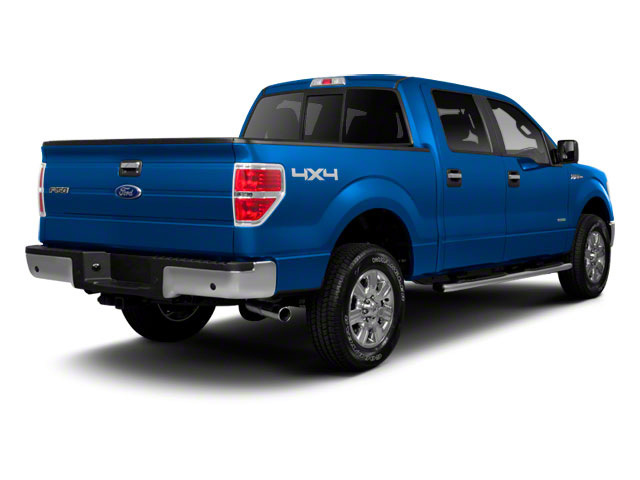 The Platinum version is the urban cousin to the King Ranch trim. Like the King Ranch, it's only available with a crew cab and the V8. It also features a voice-activated navigation system, unique 20-inch polished aluminum wheels, LED side mirror spotlights, power deployable running boards, aluminum interior trim and a leather wrapped and heated steering wheel. Finally, the Limited trim rides on 22-inch wheels and makes standard a whole range of convenience items that are optional on lesser trims. These include a 360-degree camera with split-view display, remote tailgate release, a twin-panel moonroof and more. The F-150 might be the most important vehicle made by Ford. It continues to be one of their top-selling vehicles, encouraging Ford to put their best foot forward with the 2018 model. The F-150 competes with the Ram, the Chevrolet Silverado and the GMC Sierra 1500, among others, in the full-sized truck category. Ford is clearly pushing its new technology and new ideas with the F-150, offering plenty of options not available anywhere else in this class, such as a 360-degree camera and integrated loading ramps stowed in the pickup bed. A smaller, more fuel efficient EcoBoost engine is also available, which should further improve fuel economy while providing the same kind of horsepower that would normally be delivered by mid-grade V8 engines. At the same time, the F-150 continues to excel at traditional truck tasks, with a best in class towing capacity of 12,200 pounds when properly equipped. © 2019 iMotors. A One Planet Ops Inc. Service. All Rights Reserved. Vehicle Information . All rights reserved.